Another stylish industrial but contemporary console by Bonaldo. 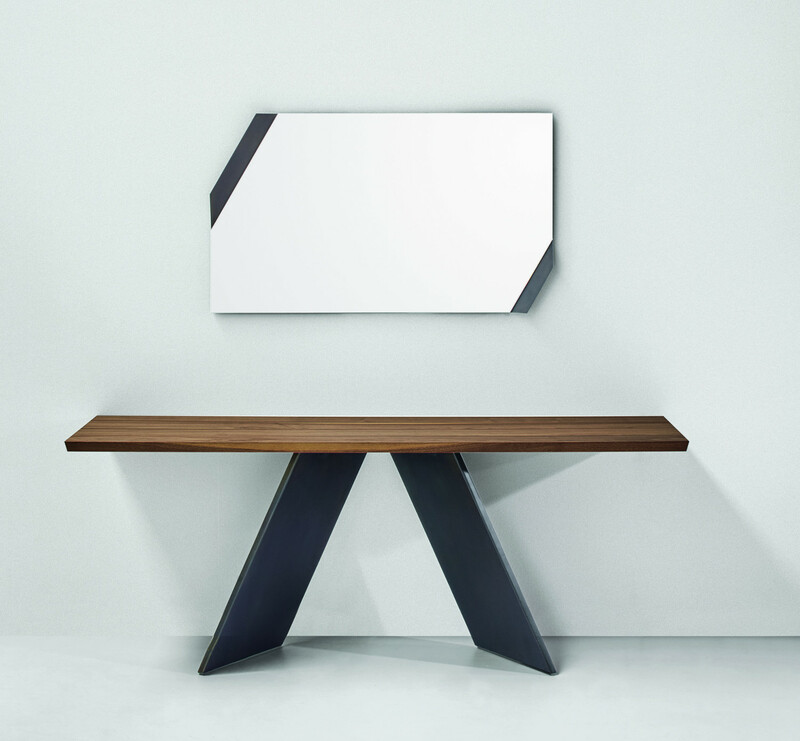 The AX console is a down to earth contemporary table with an industrial feel from the V-shaped metal sheet base. 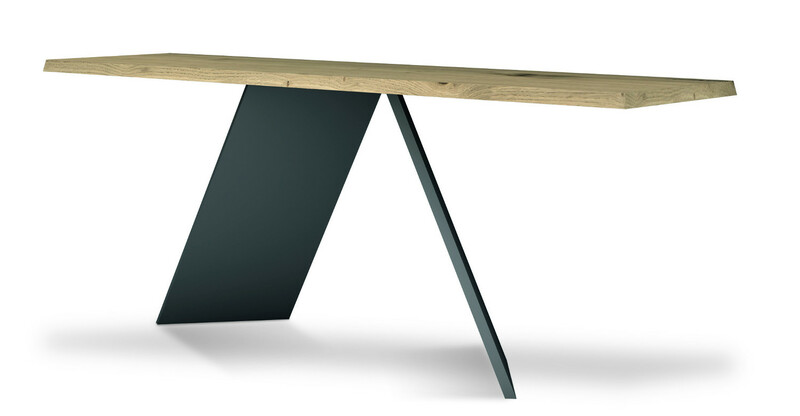 The AX console is in a variety of sizes and finishes, for both the top and base. Please see below. If you cannot see the version in size or finish that you are interested in above, or require returnable samples that are available in return for £10.00 deposit, please contact us by email at purves@purves.co.uk or call 020 3397 3723. 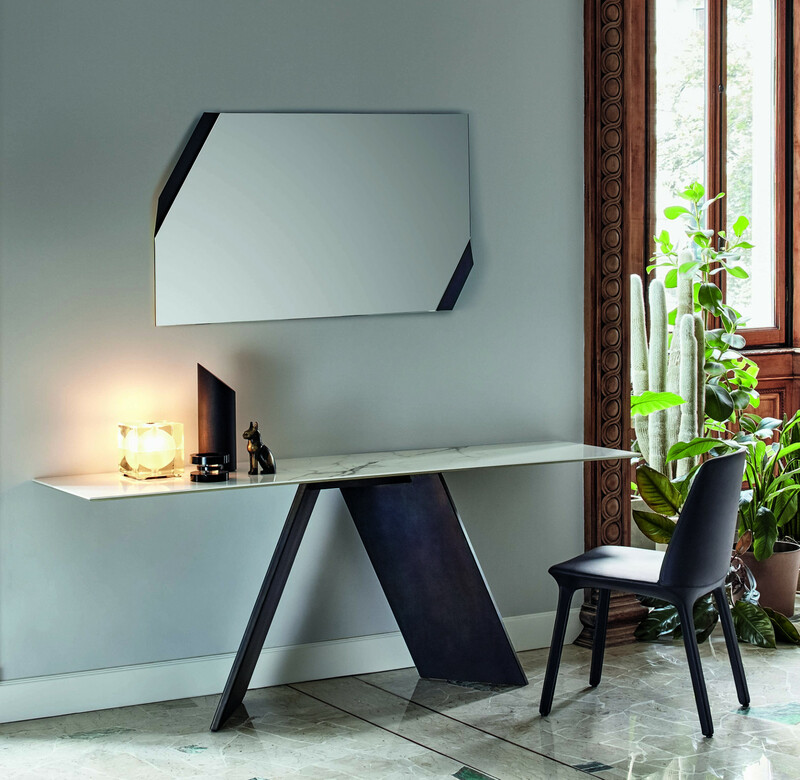 Top - canaletto walnut (not polished), natural polished oak, anthracite grey polished oak, glossy Calacatta ceramic, mat graphite grey ceramic, mat iridium white ceramic.